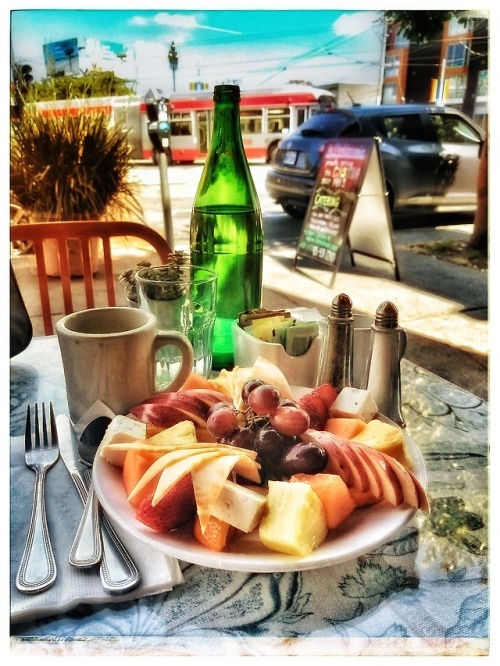 I’ve been searching for a low-cost fruit, cheese, and coffee experience in the Castro. This is the closest thing so far. Delicious, sumptuous, but unfortunately not low cost. The small is big enough for two, if you have a willing coffee companion. At Cafe La Mediterranee on Noe near Market.